Former Bodaboda 2010 patron denied bail again! KAMPALA-The jailed patron of Boda Boda 2010 Association, Abudallah Kitatta is not yet to be temporarily released on bail pending his trial. This is after the prosecution led by Maj Raphael Mugisha told the General Court Martial chaired by Maj Gen. Andrew Gutti that they were unable to file the response as required because the investigating officers who were supposed to swear affidavits in objection of Mr Kitatta’s application were out of the country. Maj Mugisha asked court for another one week until September 24 to enable them file their response. Mr Kitatta who is jointly on remand with twelve other suspects in connection with alleged charges of unlawful possession of fire arms applied for bail for the second time in less than four months. 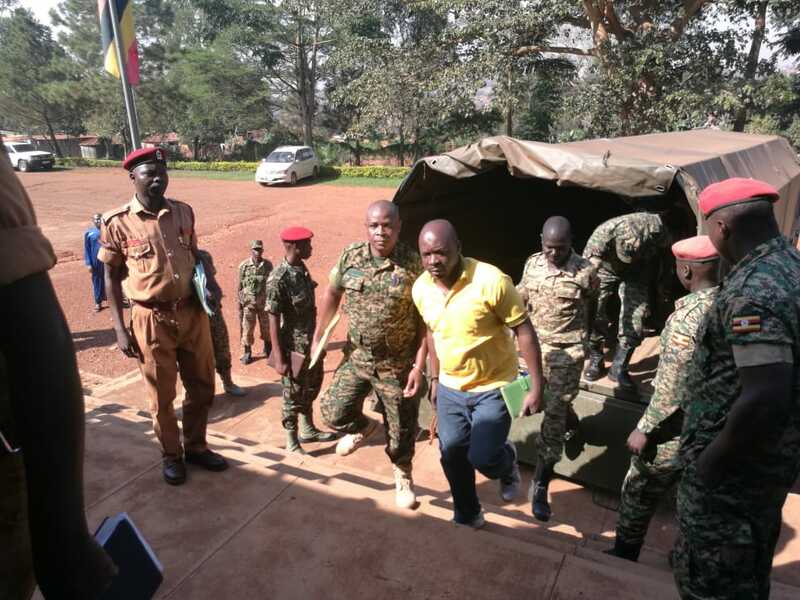 Though through his lawyers, Kitatta cited ill-health, his right to bail and that the offence is bail-able, Maj Gen. Gutti has given prosecution up to September 24 for the state to respond. However Kitatta’s lawyer Ms Fiona Owomugisha, labelled the submissions by prosecution as a surprise by the state’s failure to respond within the given two weeks. Kitatta is jointly charged with twelve other suspects including Mr John Ssebandeke, a crime preventer of Nabweru in Wakiso District in connection with alleged unlawful possession of fire arms. Other suspects include members of Boda Boda 2010 Association; Joel Kibirige, Matia Ssenfuka, Hassan Ssebata, Jonathan Kayondo, Hassan Ssengoba, Sunday Ssemogerere, Hussein Mugema, Fred Bwanika, Amon Twinomujuni, Sowali Ngoobi and Ibrahim Sekajja. They all denied the charges against them. The state alleges that on January 21 this year at Vine Hotel at Wakaliga, Nateete in Rubaga Division Kampala District, Mr Kitatta and the co-accused persons were found in possession of two guns SMG, three pistols and bullets without holding a valid firearms certificate and military uniforms which are a monopoly of the defence forces.